The Guild table is a dining table which can also be used as a desk. It is made of handcarved solid wood slats that are applied piece by piece. It features semi-circle bases which appear as if they have been sliced in half and separated to reveal a brass inside. 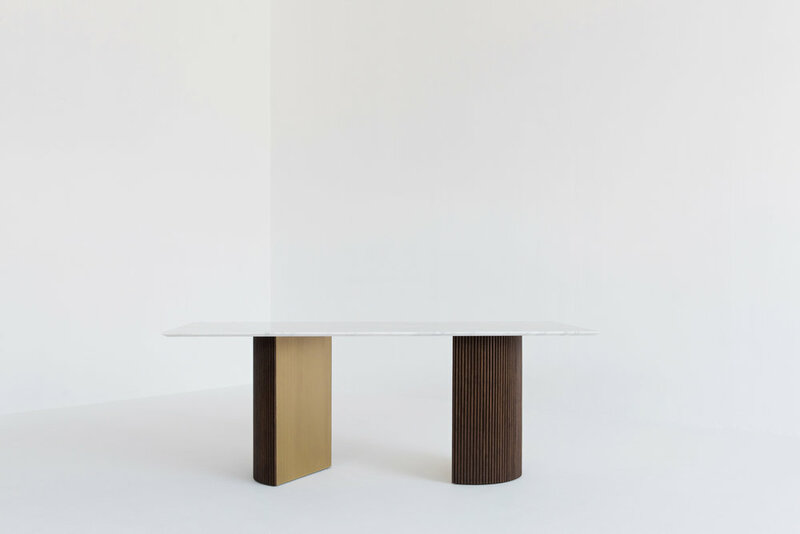 The beauty of this table is the legs can be placed at different angles making the piece always unique and regularly changeable. This table is available as a rectangular, square or round shape.